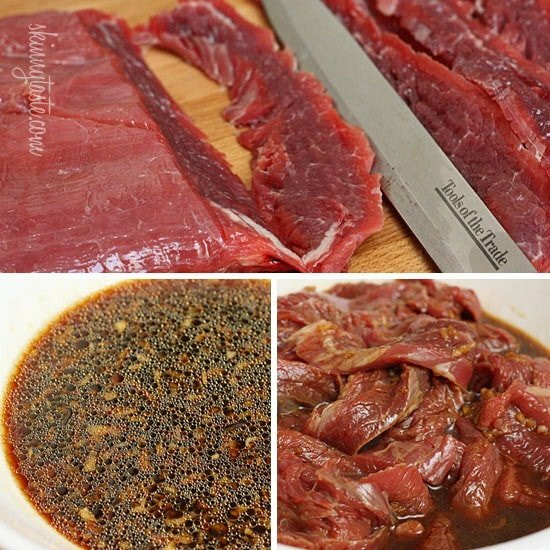 Thin strips of grilled flank steak marinated with lime juice, ginger, garlic, sesame oil and soy sauce. 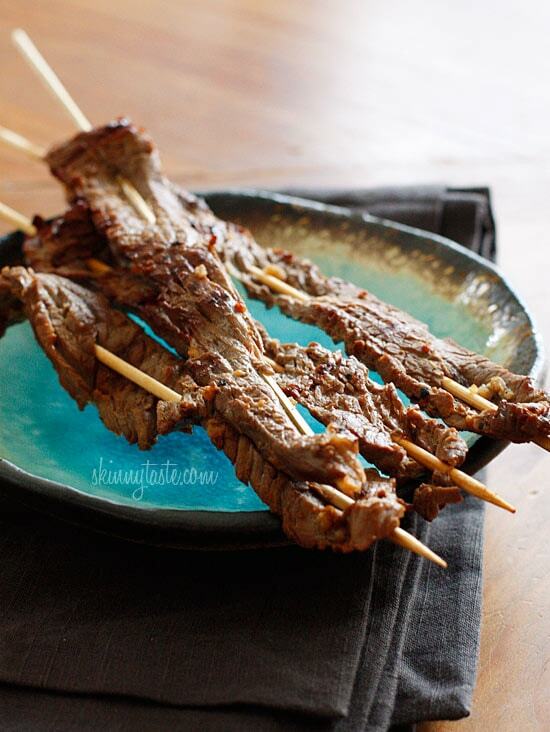 These skewers disappear quickly at every gathering, so you may want to make a lot! 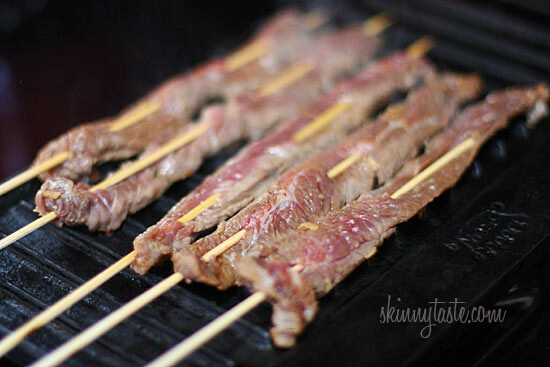 With the Superbowl just around the corner I thought these would be a great appetizer for the steak lovers in your home. 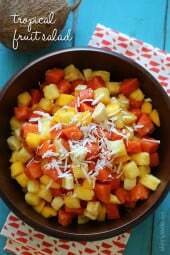 I myself love beef and enjoy these as an appetizer, but I also make them for dinner served with rice and roasted broccoli on the side. 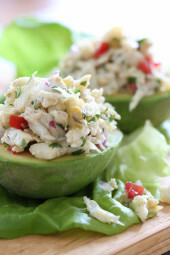 You can make this on an indoor grill, a cast iron grill pan or make them outside on the grill. Always cut the meat across the grain at a slight angle with a very sharp knife. 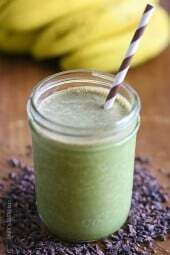 Kid-friendly, husband-friendly, and just plain old good! 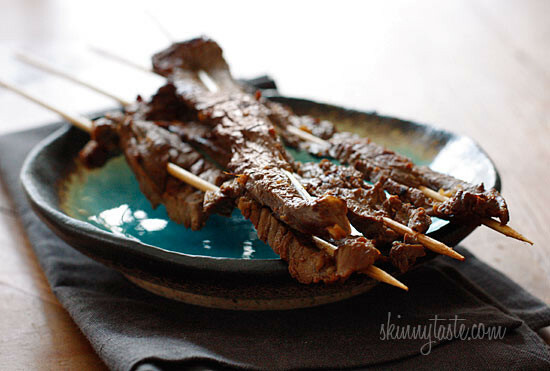 Soak wooden skewers in water about 30 minutes to prevent burning. 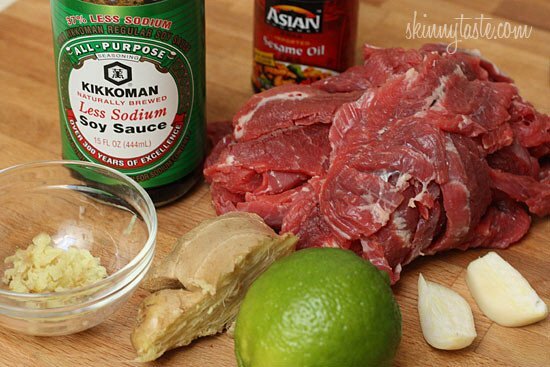 Marinate the steak in all the ingredients for about 1 hour or more. 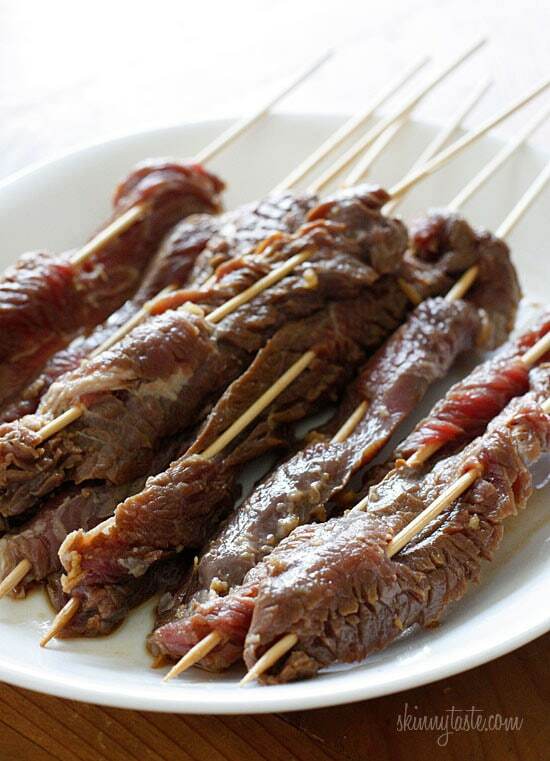 Discard marinade and thread the sliced steak onto the skewers. 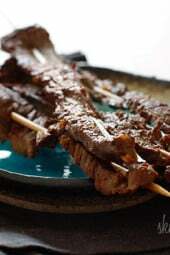 Heat your grill or grill pan to high heat; when hot grill a few minutes on each side until browned and cooked though. We loved this so much!! My grown son always says he doesn’t like soy sauce. I made this and took a chance that he’d eat it. He couldn’t stop talking about how good it was! Thank you, Gina! P.S. I rated it 5 stars but am not sure I hit the stars correctly.